"Thank you so much for helping my family get this house. You and your wonderful staff really got it done for us! Hope to work with your team again soon." "Tim Toye & all his staff are all professionals, efficient & sincerely caring for a customer. This is my first time to do business with them & I am very much impressed with their quality of service. I am contracting with them as our property manager to handle our Kelseyville property." "We recently listed our lot, for sale, with Timothy Toye and Associates. We had our lot listed for a year with another firm. When the second listing period ended we decided to list with Timothy. Timothy got it on the internet right away, he also made sure it was known locally that it was for sale. Timothy sold our lot shortly after listing with him. He ws wonderful about keeping us informed as well as getting back with us when we had questions. We highly recommend Timothy and Associates." "We were pleased with the whole process and appreciated the sensitive way you worked with our neighbor." "Thank you all so much for all your hard work. I couldn't have bought such a wonderful home if it weren't for all you did. I just wanted to drop you a line to say thank you all. I appreciate your help!" "Thank you all for working hard to sell the acreage. We very much appreciated all your efforts! You managed to do what no other agency did & that was a close! Bravo on your marketing!" "I was running in circles until I met Timothy Toye & Associates. They were beyond perfect." "I just wanted to tell you that it was such a pleasure working with you! I dealt with a number of Lake County agents during this transaction. None were as professional and easy to work with as the Timothy Toye team. Thanks so much for everything!" Welcome! Here You Can Find Great Information on Lake County Real Estate from Lake County's Leading Real Estate Team. Lake County is BEAUTIFUL! It's a feast for the eyes, and one of the great secrets of Northern California. The photos on our website prove this. We thank our best local photographers for this. Most of the rest of the photos you will enjoy on this site were taken by Nick Elias (http://www.waterpear.com), an award winning Lake County professional photographer, who along with Ron Keas has captured the natural beauty of our county more than anyone else. Need local real estate information? We've summarized much of what is important about the Cobb, Middletown, Hidden Valley, Kelseyville and the Rivierias areas of Lake County in this site. Need expert help and advice? No web site, large or small, can take the place of a top Realtor. Not even ours! This site is filled with ways that you can contact us for one-on-one consultation, with expert help and consideration as to your real estate needs. Offered in a truly professional way, that is about what you need to make the best decision for you, and your family. That's our job. And we love it. The proof is that Timothy Toye has been selling more properties in Lake County than any other realtor for many years now, and his principles of service to our clients is the foundation of our business. This, and not just the fact that we are the most productive team, makes us the leading real estate team in Lake County. Buying and selling a home, or piece of property, is one of the biggest events in your life. 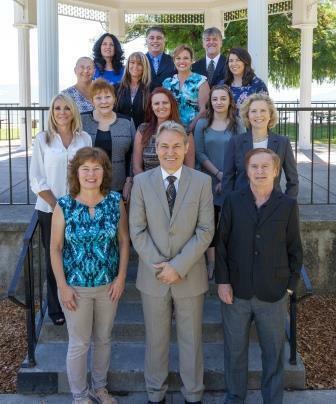 As the leading Lake County real estate team (covering the whole of Lake County as well as northern Sonoma County from our Cloverdale office), we have the experience and track record you are looking for. Our style of working is our own. We help you clarify your options, so you are in a better and clearer position to make the best decision. We enjoy being realtors because buying and selling real estate allows us to really get to know people, and to help them make a real difference in their lives. That is way more important than how much money we make. We are here to help you in whatever way we can. We're looking forward to getting to know you and helping you with your real estate decisions. Timothy Toye, Anne Baker, Michael Fern, Janice Hodges, Valerie Tennenson, Kathleen Ahart, Pi Stryker, Aaron Hodges, Sherry Marie, Terrina Szymczak, and Alicia Adams.